With network operators supporting ever growing demand by upgrading their core networks to 1G, 10G and 100G, you need to stay ahead of the game. 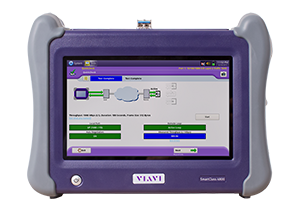 Viavi (formerly JDSU) network testers are the industry leading handheld solution you can rely on to test throughout the service life cycle, including fiber characterization, service activation, troubleshooting, and maintenance. Available from 1G to 100G with the same, familiar, user-friendly interface, Viavi testers make the transition to 1G, 10G or 100G easy. With options to buy, rent or lease, Microlease has the smart solutions to help you futureproof your test inventory with Viavi’s industry leading technology. And with 10% off rental or purchase of new products*, there’s no time like the present to update your kit. your right to privacy under GDPR. The T-BERD/MTS-5800 handheld network tester is the one tool that network technicians and engineers need to install, turn-up, and maintain their networks. It supports both the legacy and emerging technologies required to handle various network applications including metro/core, mobile backhaul, and business services installations. The industry’s smallest handheld instrument can test throughout the service life cycle, including fiber characterization, service activation, troubleshooting, and maintenance. 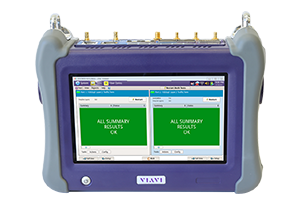 Advanced Ethernet test features such as TrueSpeed per RFC 6349, J-Profiler™, Wirespeed capture/decode, and automated J-Mentor, help field technicians test their networks faster and more accurately than ever before. Learn more about Fiber Testing. Supports comprehensive rate testing ranging from DSx/PDH (1.5M/2M) through to 112G OTU4. 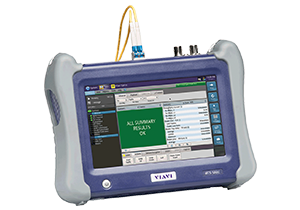 Additional resources: OTDR Testing, and Fiber Testing.